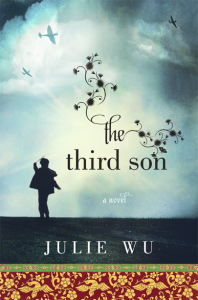 Author Julie Wu has crafted a beautiful story in her debut novel The Third Son. It’s a compelling tale of a boy named Saburo set against the backdrop of occupied Taiwan and America at the dawn of the space age. 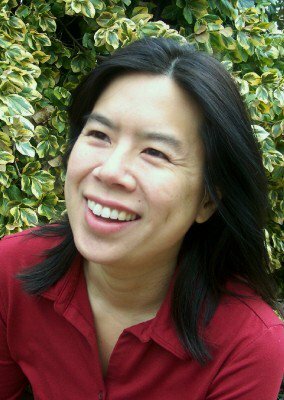 TaiwaneseAmerican.org’s editorial director Anna Wu sat down with Julie to talk about the book, her inspirations, and her path to becoming an author. Anna Wu: Julie, you have written an absolutely beautiful novel. For our readers who haven’t read the book yet, could you give us a short summary? 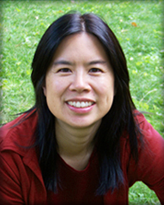 Julie Wu: Thank you! The novel is about a young man’s struggle to overcome oppression by family, society, and culture, and how, with the help of the girl he loves, he finally finds the strength to believe in himself and become truly free. It’s set against and echoes the modern history of Taiwan, from the Japanese occupation to the Nationalist takeover, and it’s also the quintessential immigration story, traveling to the US at the dawn of the space age. A: I am perhaps most impressed by your delicate balance of history versus the emotional journey of the central character Saburo– the core of the novel, really. The Japanese Occupation, 228, and the White Terror period in Taiwan all play out in the background while being intertwined with Saburo’s story. Could you speak a little bit about the history and research that informed your novel? J: My primary interest in writing really is in writing a great story. I never had any interest in writing a history book, for example. That said, I was amazed by what I did uncover about Taiwan’s history. My parents had told vague stories about the different occupations, but I couldn’t find more information for the longest time. This was due to censorship, of course. I started finding out more with the advent of the internet. I bought an old copy of George Kerr’s Formosa Betrayed in about 2001 and found a number of other documents online. Since then, the information available has really exploded. But then I still found that people in the West are largely ignorant of Taiwanese history. I find it outrageous that so many people were killed and tortured and incarcerated without anyone knowing, and I did feel it was important to illuminate this part of history, to at least get the ball rolling so that people will start to understand the Taiwanese point of view. A: I have Formosa Betrayed too! An old library copy since it’s out of print. J: Same. An old library copy. A: So let’s back up a little bit. Could you tell us a little bit about what led you to become a writer and how you came to write this novel? J: I always loved to read, and I did write stories as a child, as many children do. I majored in Literature in college basically because I loved to read, and I didn’t have any other plan than that. I went to Harvard, and in my Freshman expository writing class my first assignment was to write an autobiographical essay. I wrote what I realize now would be considered creative non-fiction and the teacher pulled me aside to tell me how much she loved it and to suggest that I join the creative writing section instead. I didn’t want to, though, because, being practical, I knew I needed help with essay writing. Later, I wanted to take a short story class but you had to submit something to get in, and I didn’t have anything to submit. I was, I suppose, too intimidated at Harvard to try writing– [writer] Allegra Goodman lived in my dorm and had already published, and others were already writing novels. I tried writing a couple short stories after college but they were really bad, and it wasn’t until I was about 22 that I had that vision of a little boy in Taiwan–it was so vivid I rushed immediately to write it all down, and that’s when I realized that that was how to write–that it wasn’t just pushing words around, it was about having a vision and really communicating that vision to other people. A: Had you always known you wanted to write a novel? One reason was that I realized my plot was really dull. My boy was supposed to be Taiwanese-American, and I wanted his sister to travel back to Taiwan for a funeral, so I asked my parents all kinds of questions about Taiwan and their family background. It immediately became obvious to me that their lives were much more interesting than the plot of my book. That stopped me short, because I didn’t want to write a biography. I wanted to be, you know, Tolstoy. So, yes, I guess I did always have in mind a novel, because I simply love novels–I love the immersive nature of them. They’re really the original virtual reality programs, made to run on your brain. So in order to write the book I wanted to write, I basically had to grow both personally and as a writer to be able to incorporate the best elements of my parents’ histories into a fully formed novel. A: So your parents’ story became the inspiration for the book. How much of the book is fiction vs. reality in the end? J: I’m saying that my book is inspired by my parents’ story, but it is not really my parents’ story. The general emotional journey is very much my father’s, but everything else–dialogue, everyday detail, details of the story, details of character, is fictional. Of course, I made every effort to make sure the historical facts were as accurate as possible. I had two different historians read the book to make sure of that. A: What have your parents said about the book? I assume they have read it? J: My parents have read multiple drafts of the book, multiple times. It’s impossible for them to have an objective view of it, of course, because it is kind of their story but isn’t really at all, but overall they’re very proud of me for writing it. My father in particular has a very emotional response when he reads it. He also understands why I wrote it as a novel, and appreciates that this way it’s a page turner with broader appeal than it would have been if I’d just stuck to the facts. My parents are also very proud that I have written about February 28th and the White Terror. At first they were afraid there would be repercussions, but I think after a recent visit to Taiwan, they are reassured that there is free speech there now. A: This is not directly related to the book, but I noticed that you’ve had multiple lives outside being an author. You graduated from Harvard as an undergraduate, you completed medical school at Columbia, and I even saw that you’ve done opera rather seriously in the past. Are you a practicing physician now? Could you round out your bio for us? J: I am not practicing medicine right now. You’re right that I have done a lot of different things, but not all at the same time. When I was young I played violin quite seriously and wanted to become a violinist, but felt limited by my technical ability–there was no way I would be able to make it as a soloist, and I didn’t relish the idea of being in the middle of an orchestra and worrying about bowing exactly like everyone else. When I started to study voice in college, I didn’t feel those kinds of limitations, and I also loved the aspect of singing that involved interpreting the lyrics. So after college I did enroll at the Indiana University at Bloomington in a Master’s program in vocal performance. I didn’t have the greatest experience there, though, and started feeling, as one of 200 lyric sopranos in the middle of a country that generally hates opera, irrelevant. While I was there I started to write and knew that was what I wanted to do ultimately, but I was afraid that if I pursued an MFA in writing that I would be insulated from life and having nothing to write about. It was at that point that I went to medical school. I did a residency in internal medicine, and then did primary care for a few years. I really, really enjoyed my patients, but when I had my children I basically had to decide how to allot my time. I really wanted to write my book by then, and I couldn’t personally write, take care of my kids, and practice medicine at the same time, so I stopped practicing medicine. If you talk to writers you’ll find that a lot of them have tried out multiple careers. It’s part of being curious and being able to imagine yourself in a lot of different people’s shoes, and not feeling fettered to one particular path. It’s also part of being American, I should say. Not too many educational systems in the world other than ours will accept a literature major into med school. A: That’s pretty incredible! You’ve had great success in being able to pursue many avenues. Just one final question. Has there been a most surprising moment or biggest realization in the process of creating this book? J: Well, the whole process has been a continuous journey of discovery. But I’ll say there was one moment that hit me, which was when I called my parents from Indiana to interview them and found out that they’d both had brothers who had died young, and they’d never told me or my siblings about them, ever. I think that was the moment that I realized there was a lot more to my parents than I had thought. And indeed, as I asked more later, I found out much more. 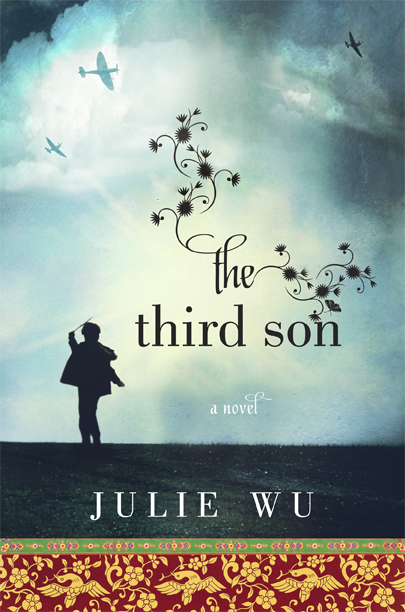 The Third Son comes out on April 30, 2013. I don’t know. In my desire to learn more about other cultures, I find some of the novels and short stories difficult, as many are what I find to be “depressing” for lack of a better word. Perhaps that is why I typically read non-fiction – one never expects anything other than factual information from non-fiction. But when I read fiction, I am seeking to be entertained. Of course, I am not expecting all honey and sweets, but neither am I expecting poison and insects that bite and sting. Julie Wu is a good writer. She kept my attention with her characters and the dialogue was all too believable. Perhaps I found the story so moving. I just happened to find it all to heart-breaking as well.